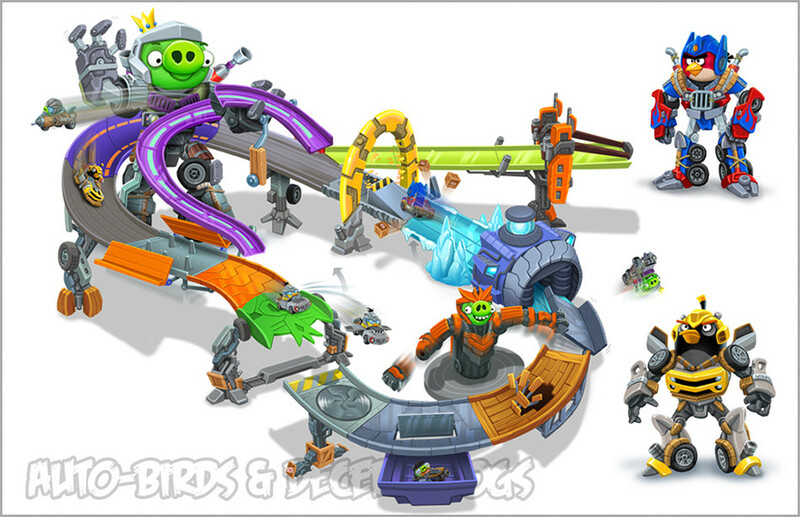 The Angry-Birds franchise, a Finland based entertainment company has been a huge success and arguably the most successful smartphone app of all time. 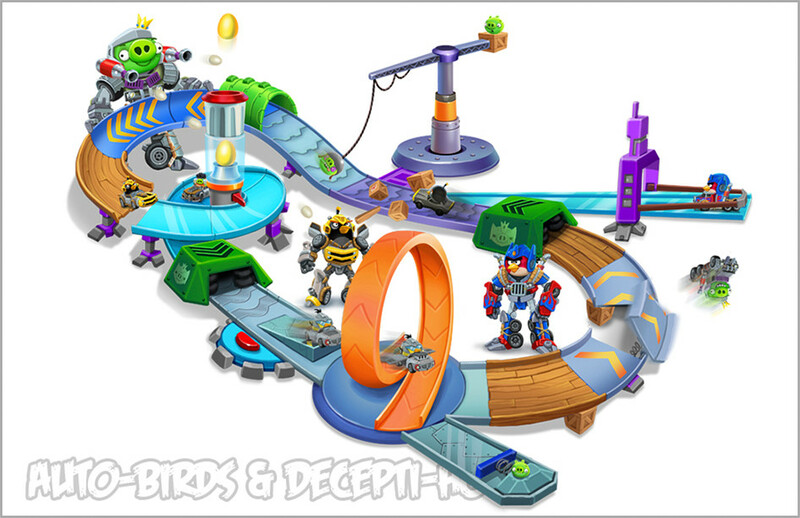 The company has grown by leaps and bounds, and has expanded into many different wealth generating outlets including product development and toy lines. 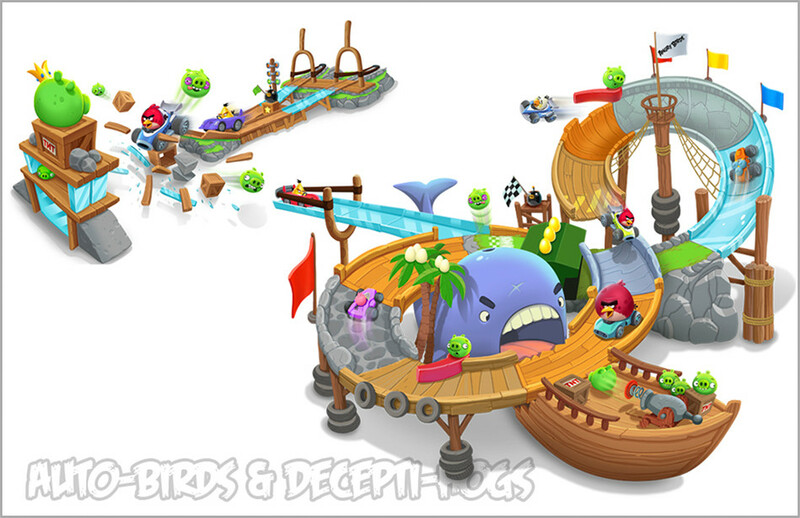 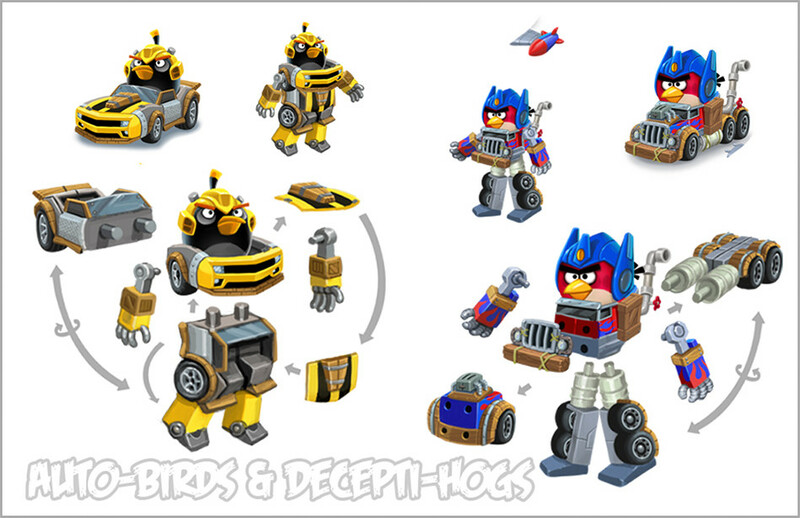 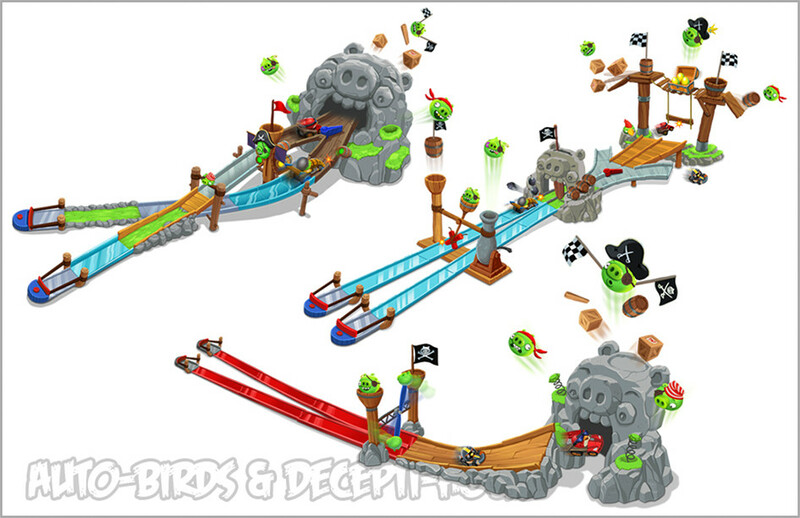 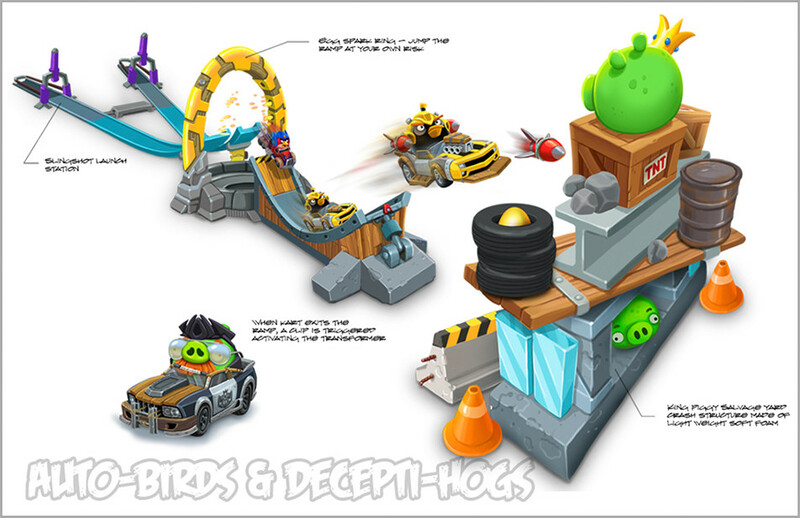 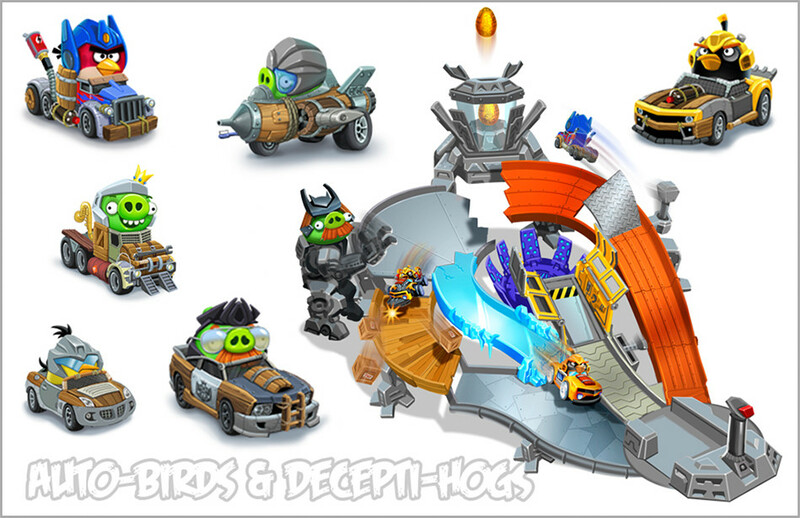 Razorfox Creative partnered with Hasbro to develop several Angry-Birds track sets for Rovio Entertainment. 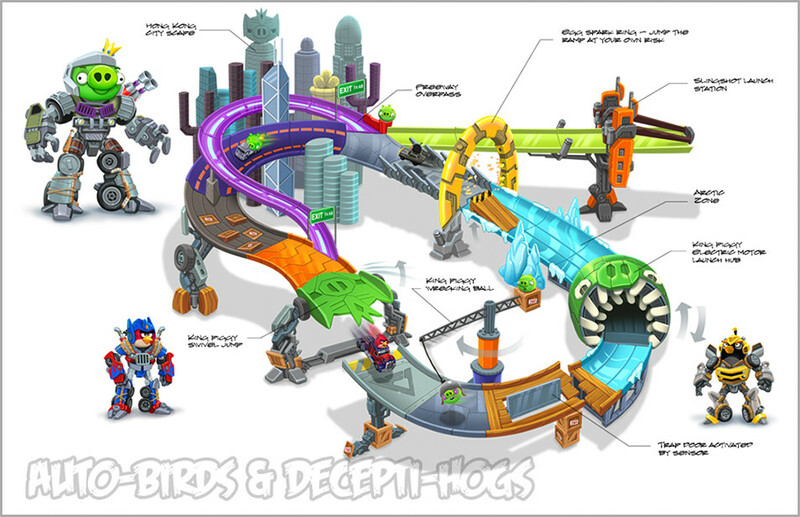 Not only did the track sets need to be completely interchangeable, but also be able to transform from their automotive branded vehicle into a full on robot. 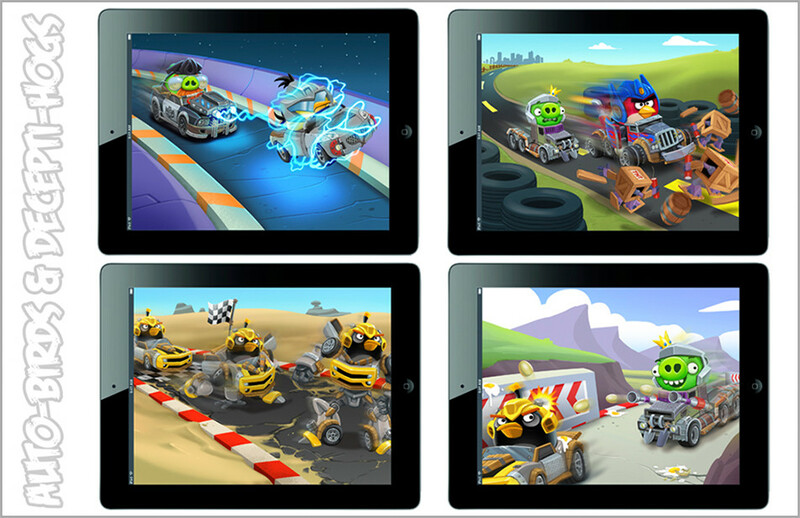 We were also involved in the pre-development of an iPad game based on these characters.